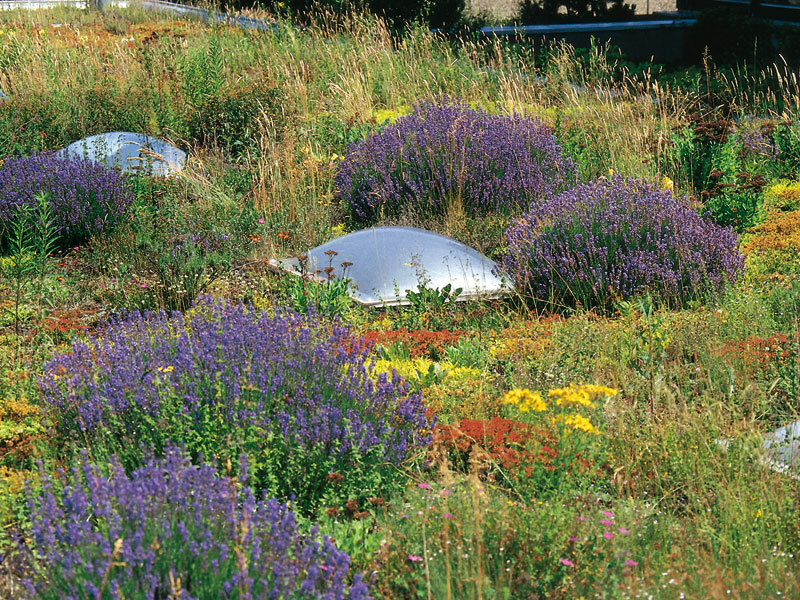 Vegetated roofs can play an important role as oases where plants and animals (especially birds and insects) feel at home. By now, many versions have been developed, each with its own specific merits. In Wageningen, there is an experiment with a green-blue version, focusing on water storage in addition to ecological values. A roof package was placed, providing space for grasses and larger plants with water storage underneath. 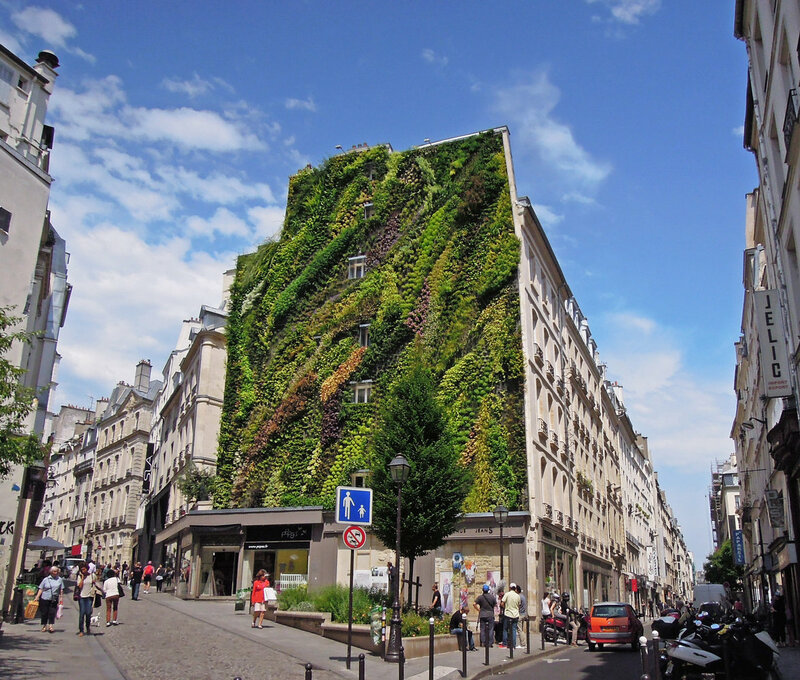 This in contrast to the many green roofs with a relatively thin substrate layer and sedum vegetation. Sedum is drought-resistant, but when it rains, the water runs off rapidly. 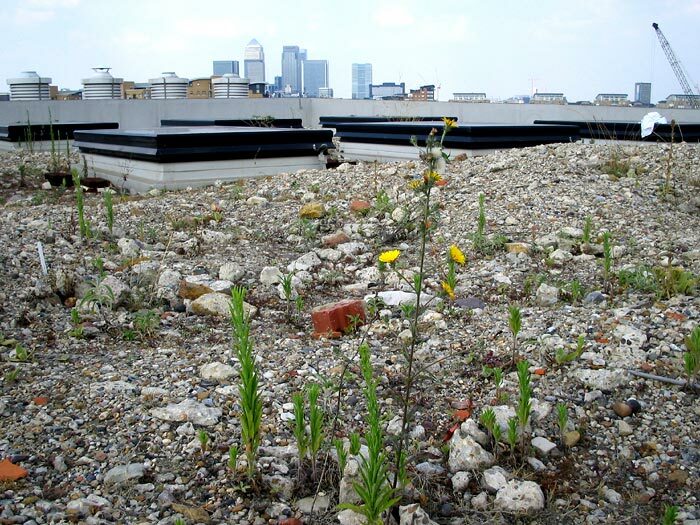 So the roof can survive dry periods, but is much less useful when it comes to reducing the growing problems with water due to climate change. Vegetation with many grasses is much better at retaining water. 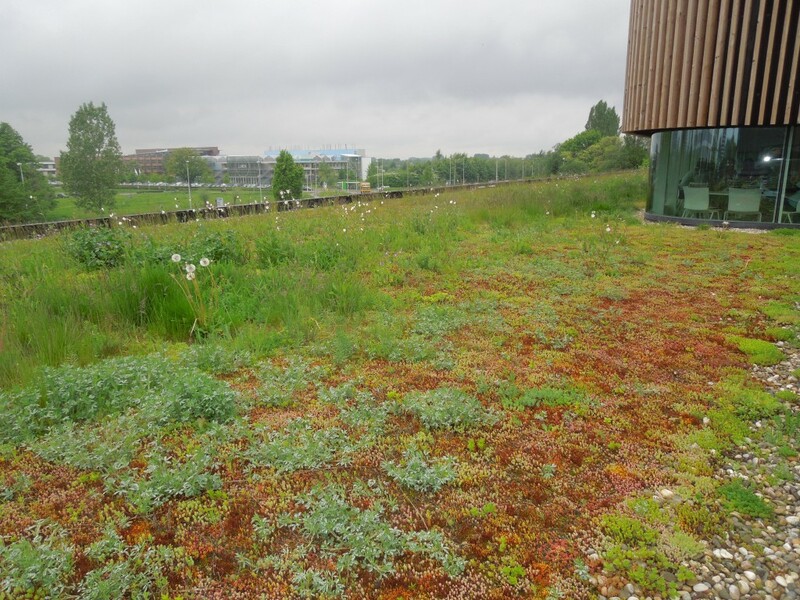 Hence, scientists are experimenting with a so-called polder roof at the roof of the NIOO (Netherlands Institute of Ecology) building, a wet version of the green roof. The field of many kinds of roof packages is part of a research programme on the specific qualities and limitations of each system. 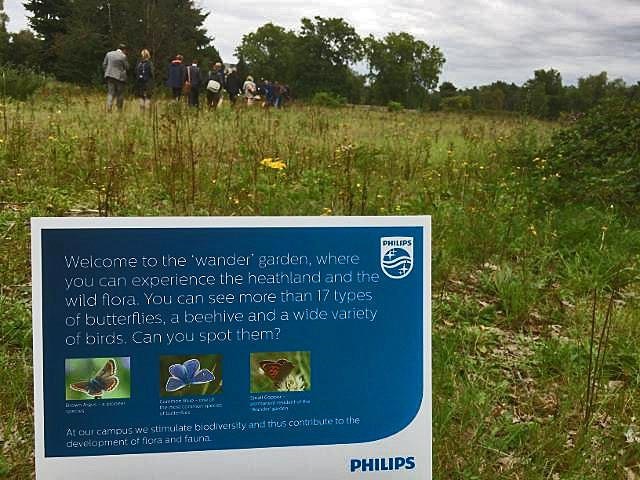 One of the aims is to find vegetation that can survive periods of drought and at the same time retain water longer. In addition to the green roof, the building has ecologically rich ponds right next to its entrance. The gardens behind the complex are also used for experiments. There is a large insect wall, for example, to study what choices work best in terms of biodiversity, just like the experiments on the roof.